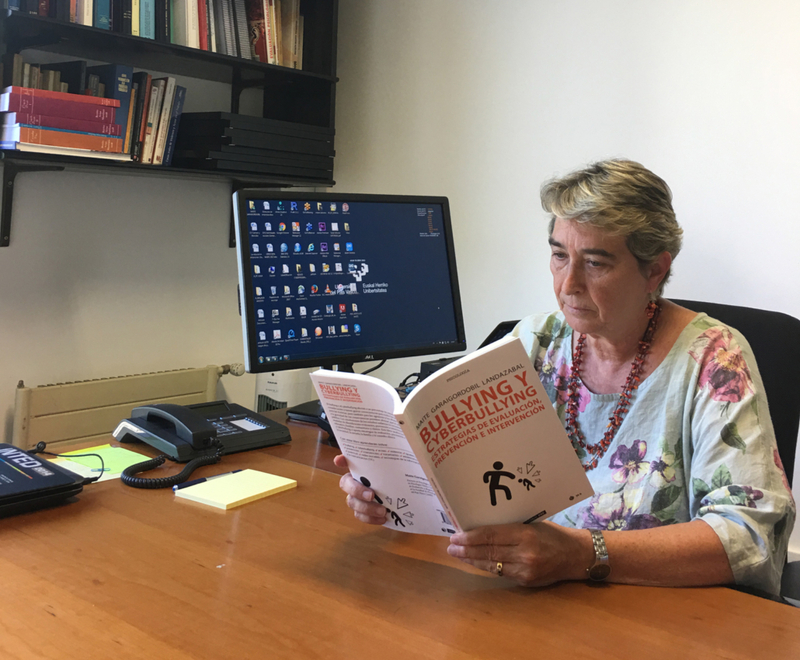 Maite Garaigordobil, professor of Psychological Testing at the University of the Basque Country (UPV) and research member of the PROEM network, has published a book entitled “Bullying y Cyberbullying: Estrategias de evaluación, prevención e intervención” (Bullying and Cyberbullying: Assessment, Prevention and Intervention Strategies; Editorial UOC – Universitat Oberta de Catalunya). This publication falls within the context of today’s society, in which bullying and cyberbullying are two phenomena that affect a significant percentage of students. These are school and online bullying situations which, according to the author, “have serious consequences for all involved, especially the victims, but also for aggressors and observers”. From this perspective, “their prevalence and the severity of their consequences enable us to say that we are faced with a public health problem”, insists Maite Garaigordobil. The conclusions from the studies undertaken emphasise the need to implement identification–assessment, prevention and intervention measures in educational, family, community and clinical settings. 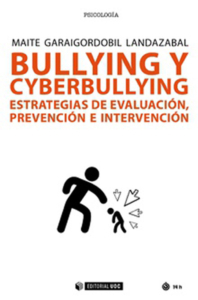 Operating under this premise, the book analyses bullying and cyberbullying and provides assessment, prevention and intervention strategies for use in society, at school, within the family and in clinical consultations. This project is part of the activities carried out under the umbrella of the Network for the PROmotion of mental health and EMotional well-being in young people (PROEM) within the PROEMA network of excellence of the Ministry of Economy, Industry and Competitiveness (PSI2017-90650-REDT) and of the research group funded by the University of the Basque Country.